Peace of mind in your pocket with this mobile app. 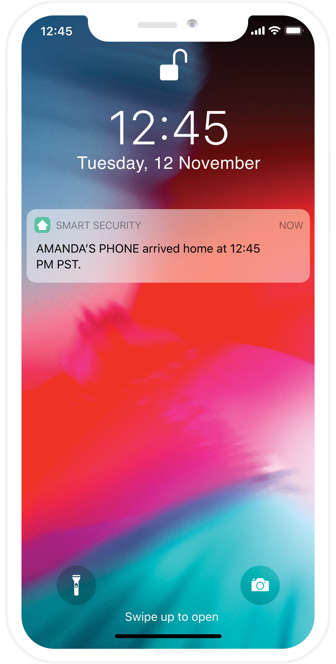 Whether you’re heading to the office for a few hours or on a long vacation overseas, the Ooma Smart Security mobile app will always let you know what is happening with your home security system. 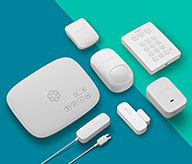 Get real-time alerts for your home security sensors and cameras via text, email or phone call. Get a real-time status on your home security system. Can’t remember if you left the garage door open? Wondering if your kids got home from school? Ooma lets you know. 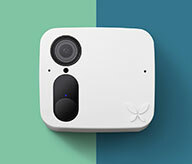 With a dashboard that shows real-time statuses on each home security camera, door, window, siren, water sensor and the Ooma Smart Cam, you’ll always know if things are safe and secure at home. 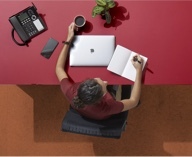 Take action from anywhere with Remote 911. We believe real peace of mind is knowing you can alert emergency services from anywhere if something goes awry at home. 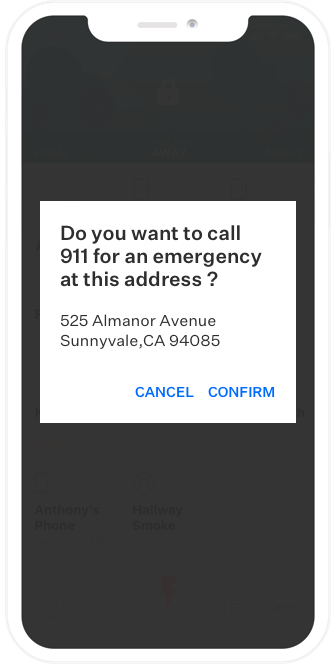 With our Remote 911 feature, you’ll be able to immediately call your local 911 dispatchers, and your home address will be automatically transmitted to emergency responders. A daily timeline of what’s happening at your home. 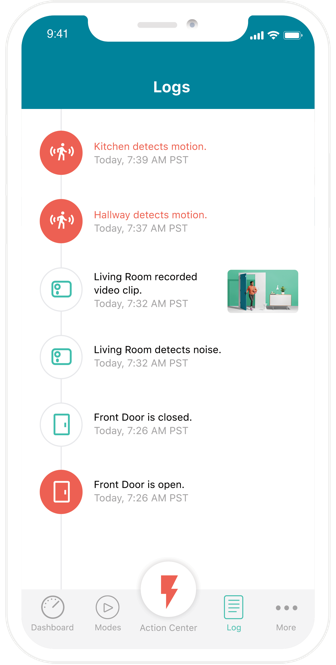 View all of the comings and goings at home with the Ooma Smart Security activity log. This way, you’ll know automatically if the cleaners arrived and if the dog actually did get walked. The activity log tracks audio and video interruptions so you will always know who’s hanging out at home, and when. More Ooma Smart Security mobile app features. 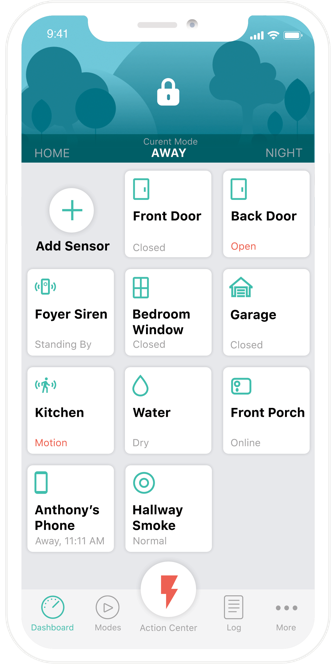 Choose different home security modes directly from the app, including Home, Away, Night and Vacation modes. App access and notifications are available for up to 10 users in your home – perfect for families. Got questions about the Ooma Smart Security app? Visit our FAQ for more information.